After five seasons of competitive but unstructured libre racing, the Irish organisers, the Royal Irish Automobile Club (RIAC) in the south and the 500 Motor Racing Club of Ireland (500 MRCI) in the north, settled on a move to Formula Atlantic for 1974. Although there were no Formula Atlantic car cars on the island at the time of the announcement, conversion of the plentiful ex-F2 cars to BDA engines would be relatively straightforward. 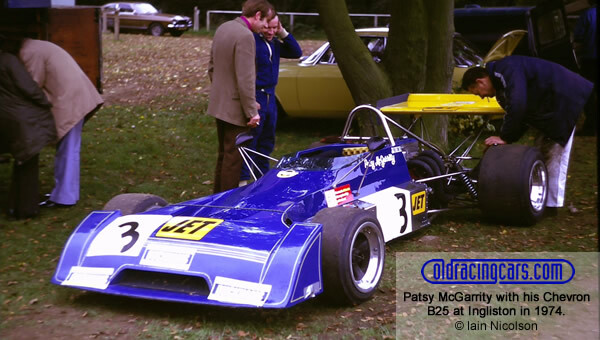 Belfast racer Patsy McGarrity had always ensured he was amongst the best equipped drivers in Irish racing, with a F2 Lotus 69-FVA in 1972 and then the ex-Roger Williamson March 722 with BDE engine for 1973. 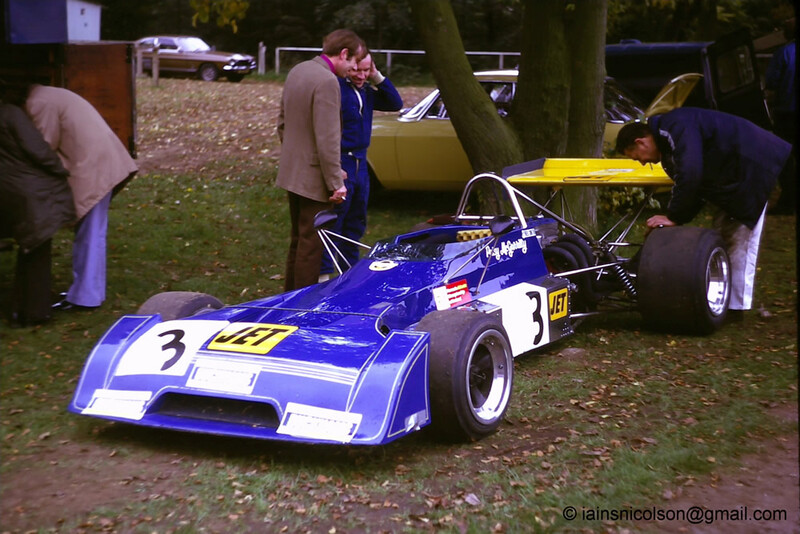 Late in 1973 he had acquired the Chevron B25 that John Lepp had been racing in British Formula Atlantic, a car so up-to-date that the factory borrowed it back for John Watson to race in F2 spec at the Albi GP in September. With this car McGarrity dominated the 1974 Formula Atlantic season, winning eight races. Ken Fildes was also amongst the silverware, winning two Kirkistown races in his converted Lotus 69, but McGarrity's most consistent competition came from Des Donnelly who had acquired the highly competitive ex-Colin Vandervell March 73B. We have yet not been able to ascertain exactly which races counted towards the championship, nor full championship tables. Please email Allen Brown (allen@oldracingcars.com) if you can help. Thanks to Iain Nicolson for the photograph of Patsy McGarrity on a visit to Ingliston. Visit Iain's website at www.ingliston-circuit.co.uk, or email iainsnicolson@gmail.com.